The Indonesian people are threatened with being cut off from their ancestors if they forget literature, especially oral literature. In oral literature there are various values ​​and knowledge about the environment. If literature is forgotten, knowledge and values ​​will also be forgotten. 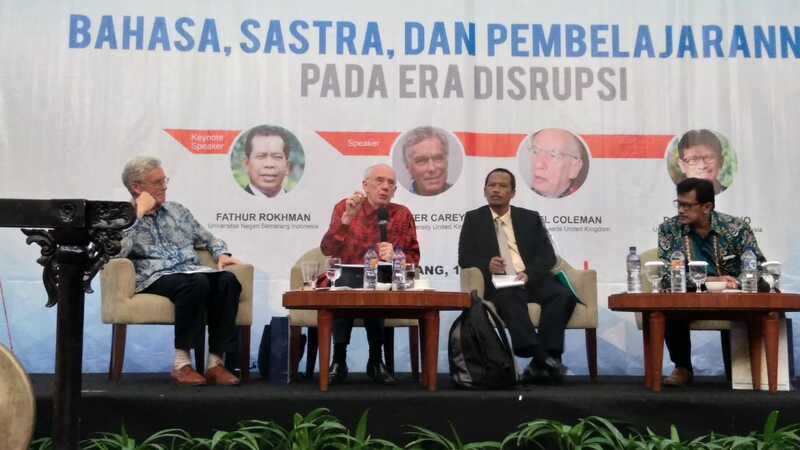 Trinity Collage Oxford University historian Peter Carey said that when he was a speaker of the Language and Literature Conference (KBS) III at the Santika Premiere Hotel, Tuesday (10/16). According to Prince Diponegoro’s biographer, Indonesians have a system of local knowledge that is packaged through stories. That knowledge, among other things, includes natural phenomena and disasters. He gave an example, one of the works was La Galigo. “If we inherit the stories, we might be wiser in responding to disasters,” he said. He added, the severity of the impact of natural disasters in Indonesia was also due to lack of knowledge about environmental conditions. In fact, knowledge of the environment has been owned by the ancestors of the Indonesian people. Carey regretted the low attention to stories and old manuscripts owned by Indonesia. This attitude must be changed because Indonesia will receive thousands of manuscripts from England and the Netherlands for some time. These ancient texts should be treated as valuable treasures of knowledge.